Heavy off-road vehicle (wheeled or tracked), used for transport in an inaccessible terrain with no roads. It can also act as an amphibian. 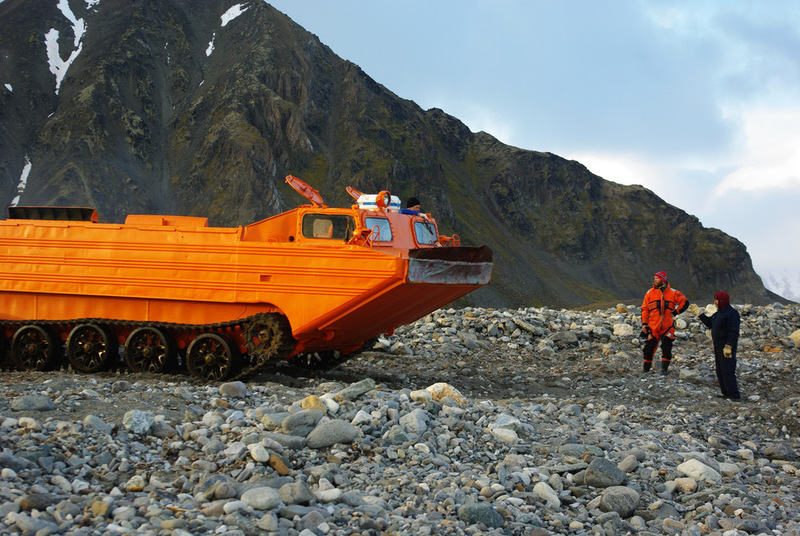 Such vehicles are also used in polar regions for logistical support of research stations. 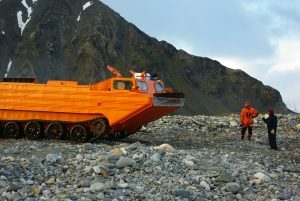 Photo: PTS vehicle used to transport the food and technical supply to the Polish Polar Station Hornsund on Spitsbergen (photo by Dagmara Bożek-Andryszczak).